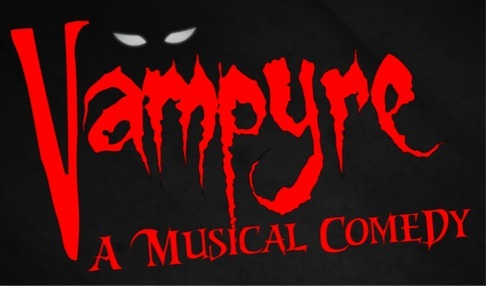 FIRSTLY – ‘Vampyre: A Musical Comedy’ – THIS WEEK! 17-19 October at 7.30pm and Saturday 19 October at 2.30pm. In the magnificent Bromley Hall – FREE parking – refreshments from 7pm. A FANGtastic and specDRACULAr original musical comedy with nine fiendishly catchy songs and superb performances by close to 100 talented pupils. Book now at: http://www.ticketsource.co.uk/event/38665 Tickets: £10/£6 each (concessions). Suitable for age 10+ this is the perfect event to get both grown-ups and children in the mood for Halloween! 5 boys and their dog go trekking to Transylvania to see if vampires really exist… with 9 original catchy songs by a professional songwriter, who has composed several global hits for international pop artists. Nearly 100 talented pupils on stage, singing, dancing, acting and in the live band as well as working back stage. The production design is breath-taking and has transformed the magnificent Bromley Hall into a Gothic mountain lair perfect for Count Vlad himself. Refreshments for children and adults will be available before each performance. SECONDLY – Come and see our superb Halloween film on Thursday 24 October – Frank Capra’s classic screwball Halloween comedy ‘Arsenic & Old Lace’ at 7.30pm in Studio 609 (strictly limited seating). Tickets £7 each – cafe/bar opens at 6.40pm and film programme starts at 7.30pm. Charge… it’s off to Panama.. starring the gorgeous Cary Grant, Peter Lorre and Raymond Massey (1944, Cert PG, 118mins). A wonderful film with Cary Grant at his comedic best. Mortimer Brewster, a critic, has just got married but as he starts married life a few too many skeletons start coming out of his closet with dramatic and spooky results! We hope that you’ll join us for these two fun events at your new local arts centre. FREE parking, clean loos, no popcorn mess and friendly faces.